We’re socialized from a young age to make the “right” choice. We are raised as people to be morally upstanding, positively contributing members of society. We have the words, “Choices make them,” parroted at us in some for or other for years upon years. Most of us do make the “right” choice, according to society. We grow older, receive more formal education, graduate, and continue our lives in the working world until we grow old. Or, at least, that’s how it used to be. Society has come a long way in the last century. Life in the mid-twentieth century could be considered linear. There were so few paths that were socially acceptable. Conformity was the word that defined the times. Conform or be cast out. I feel that society has advanced in recent decades. What has become acceptable in today’s day and age is so broad and so varied. I think, in a way, that this shift in society and in what is “right” are a good analogy for the way our games have changed since the inception of the video game industry (and vice versa, but that’s another story). Companies like Bioware have taken a leading role in giving players the option of choice. 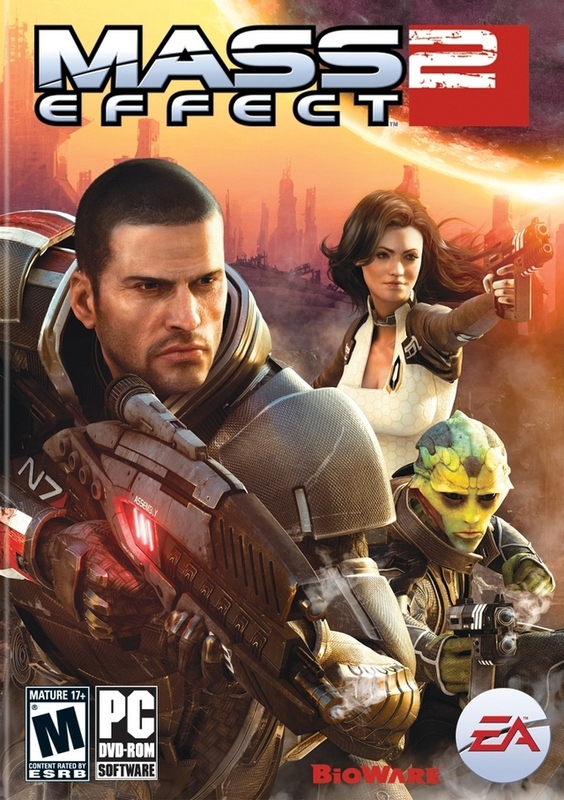 There is no better example of this than their critically acclaimed Mass Effect 2. The story of Commander Shepard and his fight against the Collectors is rife with moral grey areas, opportunities, and game changing decisions. I’ll start with the game mechanics. And by that, I mean I’ll start with the massively improved game mechanics. In Mass Effect 1, the game had a rough (although terrifically fun) implementation of third person shooter gameplay. The biotic and technical powers, especially, were harmed by the flaws in the system. They were imprecise and at times it was difficult to discern which power you were using or what effect it had on the Geth horde you were facing down in the conveniently cover-riddled cave on that random planet in that one system. Mass Effect 2 takes this flawed system and refines it greatly. Did you ever get sick of waiting for weapon overheat to dissipate? Mass Effect 2 fixes that with the use of heat sinks for each individual weapon. It greatly improves the flow of gameplay and really makes you wonder whether or not to use that shotgun on that drone. Many people were worried that the introduction of an ammunition system would make the game a Gears of War clone. Allow me to put those fears to rest. The ammunition greatly changes the speed of gameplay, which results in an all around more pleasant experience. The biotics and technical powers are massively improved as well. The powers are self-contained in little spheres that have the ability to arc around objects and hit enemies. Their effects are visible and less confusing than in Mass Effect 1. The game also introduces two new weapon types: the submachine gun and the heavy weapon. They fixed the incredibly broken pistol from Mass Effect 1, making it both less effective and less viable in more situations. This is where the submachine gun comes into play. The rate of fire is incredibly rapid, but its range suffers past low-mid. Though, due to the rate of fire and the sheer ammo capacity, it tends to be hard not to kill something with it. The heavy weapons, on the other hand, are your final solution for bigger enemies. Heavy weapons are strong and quite varied. I won’t ruin the surprise for those of you who have yet to play it, but the phrase “going nuclear” gains a new meaning when utilizing the heavy weapons. In Mass Effect 1, class specific abilities sort of fell by the wayside at higher levels when you were an unstoppable machine as any class. Really the only limiter at the time was what weapons you could use with decent accuracy. Mass Effect 2 makes class selection far and away more important. Abilities like the Vanguard’s Biotic Charge or the Sentinel’s Cloak become absolutely essential when you reach higher difficulties. At that point, you need more than firepower and brute force to win a fight. You need sheer cunning and sharp strategy to flank and bring down the regenerating enemies like the Vorcha (a new race introduced). Mass Effect 2 also changes what some would consider the most important part of the most important part of battle: the battlefield. That entire rant about linearism at the beginning of this review sort of goes out the window at this point. The battlefield has become incredibly straightforward in Mass Effect 2. You are directed where to go just by advancing through a level. There are few, if any, chances to get lost in your trek through Mass Effect 2’s different scenarios while you’re hunting down new teammates or fighting back the mysterious force threatening human colonies in the Terminus systems. This is quite possibly the only gripe I have about the game. What made Mass Effect 1 such an engulfing experience was the fact that you could go anywhere or to nearly any planet and get lost. This leads me to another point? Instead of visiting every planet individually, they have you mining for resources instead of visiting every planet. Doing that for hours on end was an incredibly frustrating and boring aspect of Mass Effect 2. That being said, allow me to delve into that opening statement a little more. Mass Effect 2 is the pinnacle of choice. The game demands that you consider both sides to a question or demands that you consider your course of action. There is no “right” answer to any of the questions the game asks. There is no clear decision. The game itself is a question of choice. It is a question of morality. It makes you question your values as a person. Now that, that is a feat no accomplished by many games ever. Mass Effect 2 is the gold standard of game production in this day and age. It contains the perfect blend linearism and choice. It outshines Dragon Age: Origins in that there is a direction in which to progress rather than places to just go and do things. It outshines Gears of War in the gameplay that the title is so proud of. It outshines most story driven role-playing games in terms of sheer narrative quality. Mass Effect 2 is the product of years of dedicated labor that culminated in one of the defining gameplay experiences in a generation.